NB: As this is our last talk of the year, drinks and snacks will be served afterwards! Stofbergsfontein – and its better-known sister village of Churchhaven – developed during the 1800s and 1900s as small fishing villages along the western side of the Langebaan Lagoon. 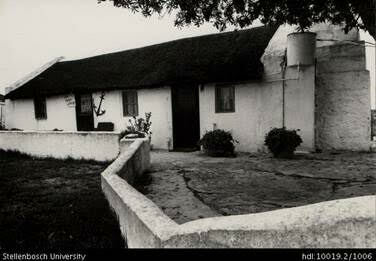 The community developed a way of living that was marked by modesty, self-reliance and environmental sustainability. They built their own homes using local materials, grew their own gardens, gathered veldkos, hunted and fished. They built their own church and a one-room school house. Due to a combination of relative isolation, modest resources, a love for the way of life…. And probably the fact that the farm was owned collectively by a number of families with no individual titles to land…. the community changed little over the years. 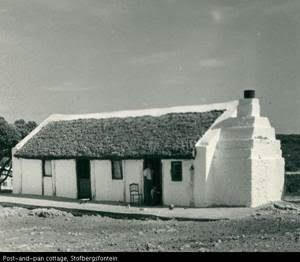 Graham Jacobs has described the architecture of the village as “modest”, and observes, “Stofbergsfontein and Churchhaven are both rare surviving historically ‘layered’ fishing settlements of considerable local historical significance, retaining high levels of authentic period fabric” built largely during the early and mid- 19th century. In the mid- 1980s, the South African Government initiated a process to acquire the farm Stofbergsfontein as the keystone of the proposed West Coast National Park. The sale was agreed in 1991. Importantly, a key element of the Sale Agreement was protection of the existing villages and adoption of a set of Design Guidelines to direct all future new building, as well as any alterations to existing structures. The intent was to “embrace and protect the distinctive historic character and ambiance of the area” (Environmental Management Plan). The Sale Agreement, the EMP and the Design Guidelines are part of the legal documentation establishing the West Coast National Park. Jane Prinsloo is a retired urban planner who has had the privilege and joy of spending considerable time over the past 40 years in the village of Stofbergsfontein. Jane has a cottage at the lagoon and is a member of the Homeowners’ Association Plans Review Team which is charged with ensuring that all building is in line with the DGL. In her talk Jane will discuss the challenges of protecting the quality of the built environment in a world of changing needs and expectations.